Is your Instagram feed full of Munk, Chagall or Picasso styled pictures with a #prisma hashtag? Then, you’re following people who downloaded the app which outperforms Instagram and MSQRD, as it achieved the first one million users in just 9 days. For the record, Instagram reached this milestone in 40 days, and MSQRD – in one month (… and was quickly acquired by Facebook in March 2016). 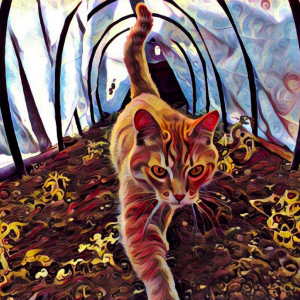 Prisma is a free mobile app that uses neural networks and deep learning algorithms for processing images. With Prisma, users apply art filters to their own photos turning them into artworks as if they were created by Kandinsky, Van Gogh, Levitan and other famous artists. According to App Annie, it became the top app in Overall category (and of course, in Photo and Video Category as well) in one week in Russia, Estonia, Latvia, Kazakhstan, Ukraine and a 5 more post-soviet countries. The virality was so h-u-u-ge that even the Russian prime minister Dmitry Medvedev posted a #prisma-modified picture of the Kremlin on his official Instagram account! 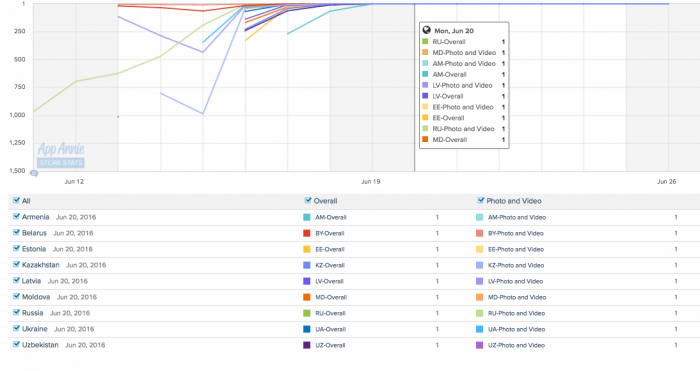 On June 17th, the app was launched in the US, and as of today, the highest position it has reached so far in the Photo and Video category is 38. But let’s see what happens when the startup introduces effects for videos and rolls out the Android version. 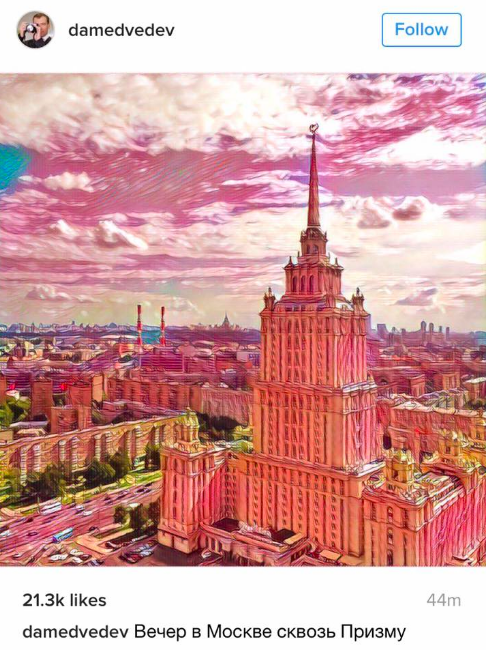 There’ve been a plethora of apps applying effects to pictures, and the achievement of this Russian startup is not in using the principle of neural networks per sei, but in making it cheap and finding sufficient processing resources. Servers.com is Prisma’s partner providing servers in Europe and the USA. The CEO and co-owner of Servers.com Alexey Gubarev said that every day they had to increase the server capacity by 100% from the initial level, and the developers had even to artificially restrain the userbase growth. 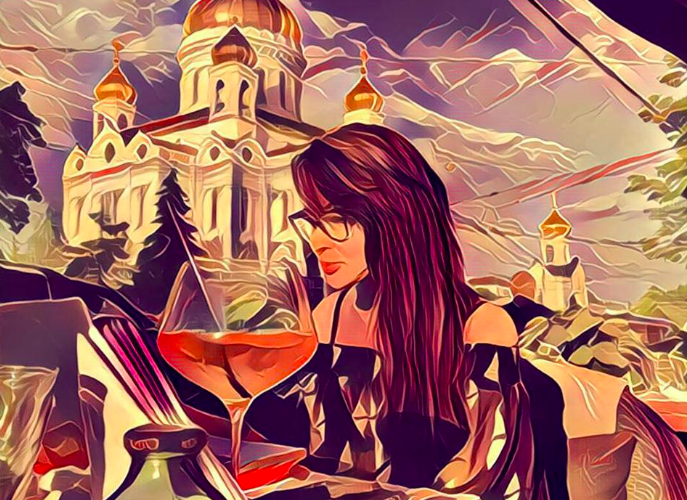 Alexey Moiseenkov created Prisma as his personal project while he was officially employed as a product manager at My.com, a subsidiary of Mail.ru Group. When the app blew up the App Store charts in 10 countries, he quit the job, but both My.com and Alexey himself were very positive about each other in their comments on social networks and in the media, and it was quite logical to predict that My.com would participate in Prisma’s story. And on June 21st, they announced the undisclosed investment in the startup, Prisma Labs Inc. Two other investors included Servers.com, the project’s hosting partner, and Gagarin Capital Partners. According to the Moscow Times, the Mail.ru invested up to $2M. On a curious side note, Gagarin Capital and Yuri Gurski, the VP of New Product development at Mail.Ru, were also investors and advisors to the Belarusian success story MSQRD, another filter app which blew out the Apple store. And Yuri confirmed to GoalEurope that has been mentoring Prisma team. If the startup has an exit soon, it will be the fifth one for Yuri after MSQRD, MAPS.ME, Plus Sport (sport.com), and Viaden Media.